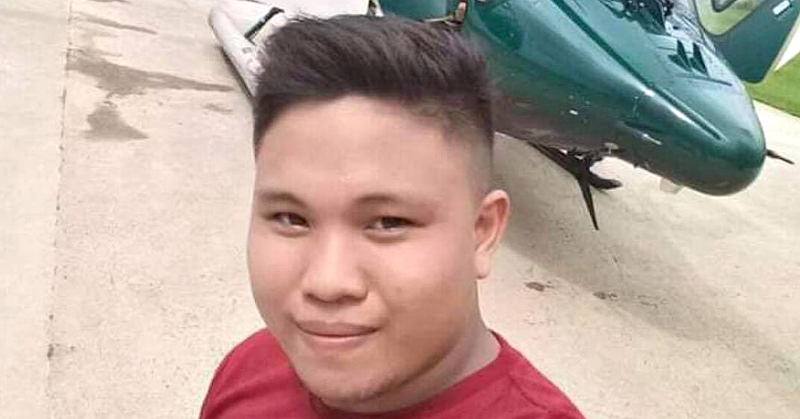 The suspect in the murder of a prominent engineer in Puerto Princesa City and the stabbing of his son who tried to rescue him early Friday night in Barangay Maunlad was beaten by an angry mob. Twenty-three-year-old suspect Marwin T. Mandigma, alias “Biboy,” was seriously beaten by around eight individuals who came to help Engr. Eduardo A. Gadiano and his son Mark Joseph S. Gadiano, whom he stabbed multiple times at around 7:30 p.m. inside their home at No. 33 Macasaet Street in Maunlad. Mandigma was mobbed after he was found hiding in the bush just outside the gate of the residence of his victims. PO3 Aldrin Sumandal, Puerto Princesa City Police Office (PPCPO) Station 1 crime investigator, said Eduardo and Mark Joseph were both rushed to the nearby Palawan MMG Cooperative Hospital, but only the latter survived. Sumandal said Mandigma, a resident of Roxas municipality who currently lives in Barangay Sta. Monica is the personal van driver of the 59-year old Eduardo. Based on their initial investigation, Sumandal said Mandigma stabbed Eduardo inside his house using a kitchen knife. He said Mark Joseph, who tried to help his father, also managed to injure Mandigma but he was able to grab a wrench and hit him on the head, causing him to fall on the ground. Mark Joseph reportedly told the investigation that he pretended to be dead to trick Mandigma from killing him. “During the interview with the victim, Mark Joseph stated he tried to rescue and defend his father from the suspect. In the process of disarming the suspect, victim Mark Joseph sustained stab wounds on his back and cuts on both arms,” Sumandal cited from their spot report. While Mark Joseph was calling for help, off-duty PO2 Wilmer Aukay who was passing by responded to the scene, the spot report further stated. “Mark Joseph was able to tell the officer (Aukay) that the suspect was still inside,” the report indicated. Sumandal said in the report that he arrived at the scene and joined the search for the suspect, who was cornered by residents outside the gate. He said the rescuing public became very aggressive towards Mandigma and attacked him with a shovel, bamboo stick, and metal wrench. Currently, Mandigma is confined under heavy security at the Ospital ng Palawan (ONP). He faces frustrated and “consummated” murder charges. Sumandal said a follow-up investigation into the case is now being conducted to determine Mandigma’s motive for perpetrating the crime.